Our precision products are key to reducing fuel consumption and emission values. At the same time, they extend maintenance intervals and service life, while also enhancing driving comfort and driving dynamics. Very high performance from start to finish: Components that are used for valve-lash adjustment enable precise valve lash and a low-friction valve train – maintenance-free over the entire engine life. 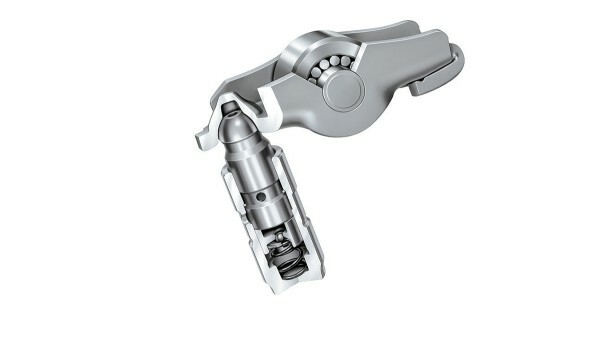 Schaeffler Automotive develops and manufactures valve-lash adjustment components for engines with overhead camshafts (OHC) or overhead valves (OHV), for direct and indirect drive, as well as for hydraulic or mechanical lash adjustment. From the tappet through to the fully variable UniAir valve control system: Schaeffler offers a modular system for variability in the valve train. Complemented by decades of experience in vibration damping, a high level of driving comfort is also guaranteed in customized operating modes, such as cylinder deactivation or special valve lift curves. Optimum interaction between the technologies and products is a decisive factor for ensuring further reductions in fuel consumption and emissions. In this respect, Schaeffler offers the automotive industry benefits like no other supplier thanks to its unique expertise and the comprehensive cooperation between specialist departments such as Engine Systems, Transmission Systems, Chassis Systems and Electric Mobility. Economical and dynamic: Camshaft phasing systems are further components providing variability in the valve train and contribute to further reductions in fuel consumption and emissions. They optimize valve timing across a wide range of engine loads and speeds, thereby increasing vehicle dynamics and driving pleasure. 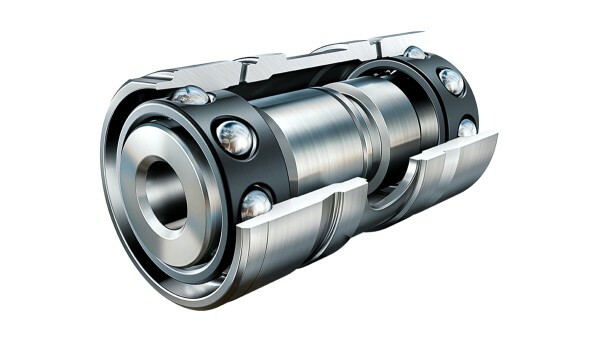 Belt and chain-driven systems are available that can be used to adjust either a single camshaft, both camshafts synchronously, or both camshafts independently of each other. Lightweight camshaft phasing units are made from deep-drawn sheet metal. 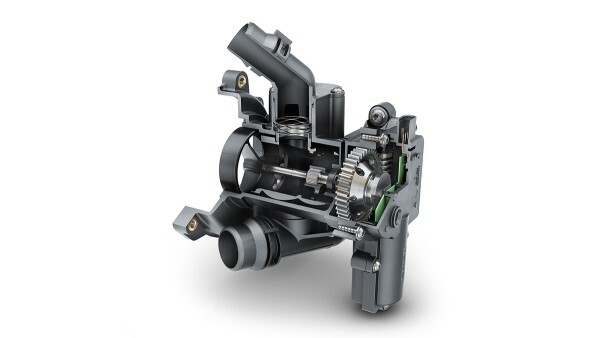 The electromechanical camshaft phasing unit from Schaeffler adjusts the camshaft even faster and more precisely according to the relevant operating conditions of the engine. By using an electromechanical system, it is possible to adjust the camshaft with a speed of up to 600 degrees of crankshaft angle per second. The significantly increased range of adjustment allows modern highly-efficient combustion processes. Precision and reliability: Schaeffler is the only company in the world with a complete range of chains for automotive applications that encompasses all types of engine timing chains, tensioned chains for continuously-variable automatic transmissions and drive chains for transfer cases and axle drives. 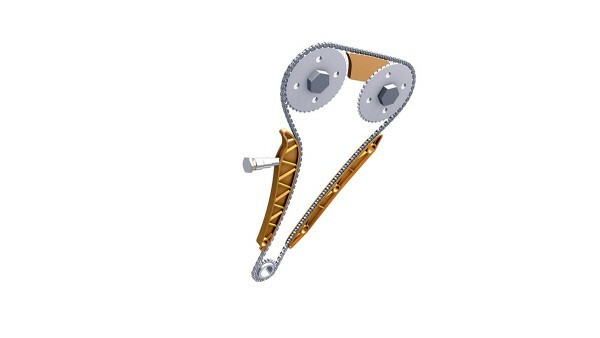 Schaeffler also develops and manufactures all ancillary components for chain drives, such as chain tensioners, chain guides and chain sprockets. 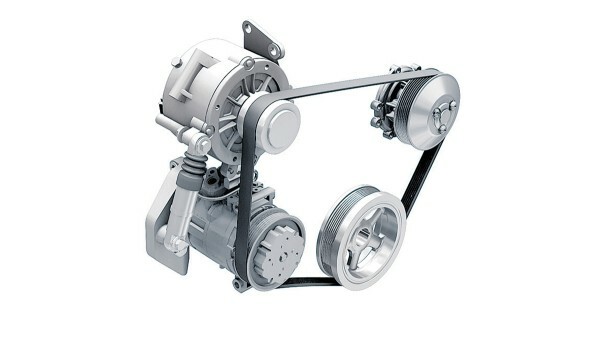 Smooth running and low vibration: Belt drives are used for controlling engine timing and for driving accessories. As a systems supplier, we develop and manufacture tensioner and idler pulleys, hydraulic and mechanical belt-tensioning systems, as well as alternator decoupling devices. Operating absolutely maintenance-free, these systems are perfectly matched to each other and set the standard for durability. The belt-driven starter generator represents a highly effective approach to hybridizing the drive train. 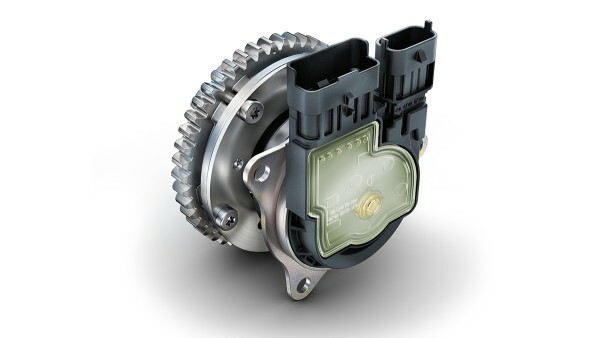 This device allows the engine to operate in a comfortable and efficient start-stop mode, thereby making a significant contribution toward reducing fuel consumption and emissions. Energy efficient and precise: An important element for the optimization of the internal combustion engine is the Thermal Management Module (TMM) which accurately controls the temperature balance in the engine in an energy efficient way, and allows the ideal temperature window for the engine and the transmission to be reached rapidly. This unit can also provide parallel control of the temperature balance in hybrid components and batteries. The cold running phase can be shortened considerably by blocking off the engine's cooling jacket while individual components can be run hotter than would otherwise be possible with thermostatic control. The module therefore also has a positive effect on the operating life of drive train components. A further benefit is being able to reduce the engine temperature while under full load, thus reducing the tendency towards knocking and full load enrichment. All of this makes this module, which can be adapted to suit customer requirements, a key element in the reduction of fuel consumption and CO2 emissions. Less friction inside the engine: Schaeffler Automotive has a range of innovative solutions for rolling bearing supports in crankshafts, camshafts and balancer shafts that offer considerable potential for reducing power losses in the engine, and, therefore, improved fuel economy and lower emissions. Balancer shafts with rolling bearing supports generate approximately 50 % less friction compared with shafts supported by plain bearings. Schaeffler has also succeeded in developing an optimized design for balancer shafts that is up to 40 % lighter with no performance losses. Very high performance from start to finish: Components that are used for valve-lash adjustment enable automatic valve lash adjustment during assembly and operation of the engine, and ensure constant engine timing over the entire engine life. Schaeffler Automotive develops and manufactures a wide range of valve train components with hydraulic valve-lash adjustment for engines with overhead camshafts (OHC) or overhead valves (OHV), and makes an important contribution to reducing operating costs and emissions. 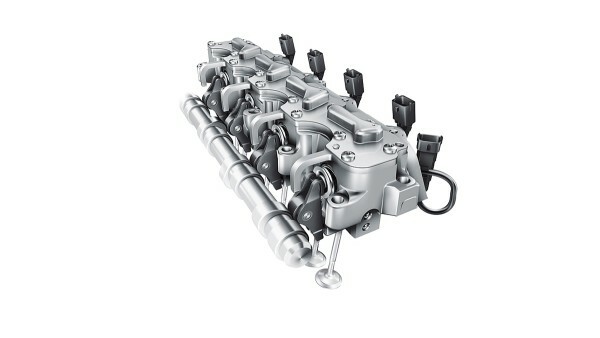 Maintenance-free and robust: Camshaft phasing systems also make a significant contribution to reducing fuel consumption and emissions. They optimize valve timing across a wide range of engine loads and speeds. Systems are available that can be used to adjust either a single camshaft, both camshafts synchronously, or both camshafts independently of each other. 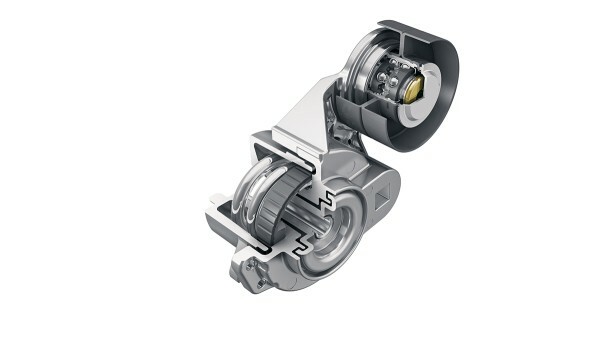 Precise and resilient: Schaeffler produces belt drives that can withstand very high loads. Tension and idler pulleys have highly precise belt guidance, where the steel idler pulley gives reliable resistance to external influences. Optimized mass and a large grease reservoir ensure long service life, even in our low-noise, mechanically-dampened belt tensioners and our consistently high performance overrunning alternator pulleys. Ready-to-fit – saving fuel – reducing CO2: In addition to the established standard designs of water pump bearings for conventional coolant pumps, Schaeffler can supply so-called double decker bearings for coolant pumps with viscosity control. Superior on CO2 emissions Throttle valve bearings are drawn cup needle roller bearings with open ends that are greased, sealed on both sides, airtight and have a particularly small section radius. Due to their low frictional torque and superior air management, they give significant reduction in the exhaust emissions of an engine. The outer rings and the needle roller and cage assemblies are made from corrosion-resistant steel. Less friction inside the engine: Schaeffler Automotive develops innovative rolling bearing supports for all rotating components in the engine, thus contributing to reductions in fuel consumption and emissions.